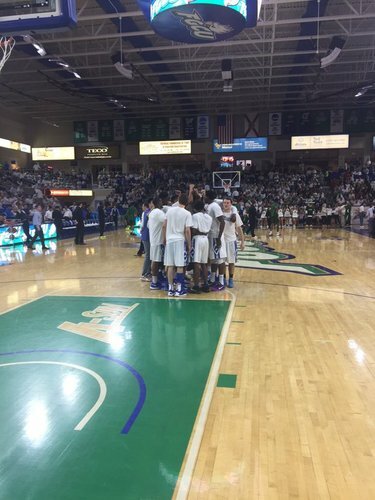 A win tonight would give @FGCU_MBB its fourth-straight 20-win season. 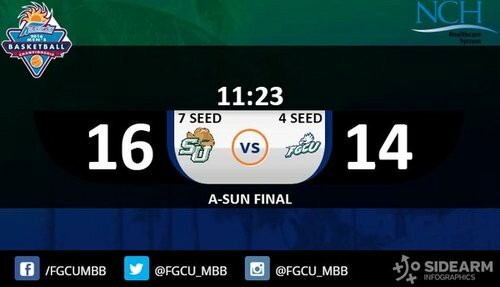 An @ASunMBB team hasn't accomplished that since 2009. 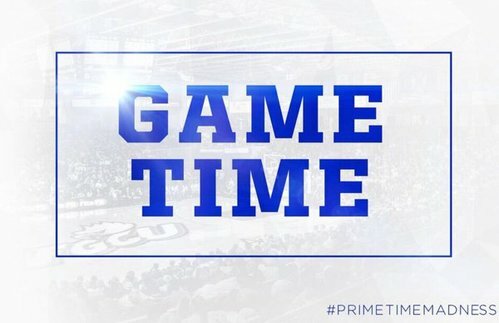 And @bouncymeech with a monster one-handed throwdown to get #DunkCity started in #PrimetimeMadness !!! 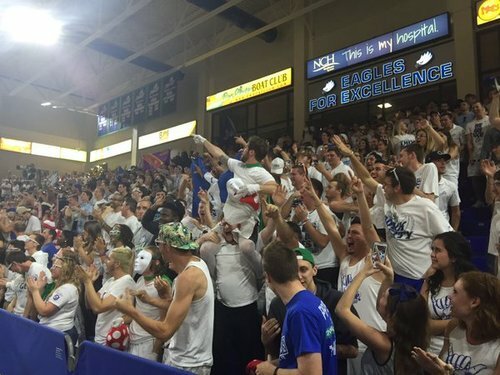 Sitting in front of @FGCUDirtyBirds is insanity. I don't know how @ByRJRoan gets any work done. 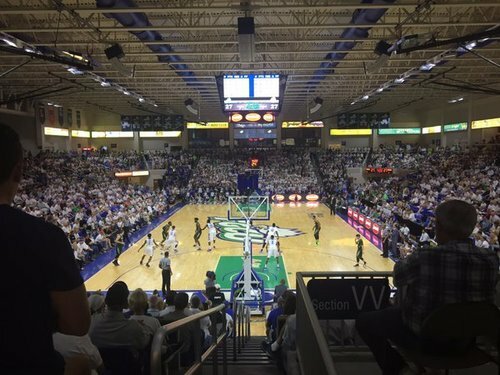 Gotta think many of the students at the @FGCU_MBB game went to school specifically for a game like this. That gym is on fire. So cool. 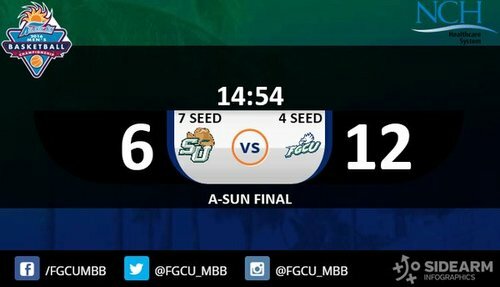 14:54 1H | @FGCU_MBB 12, @StetsonMBB 6. 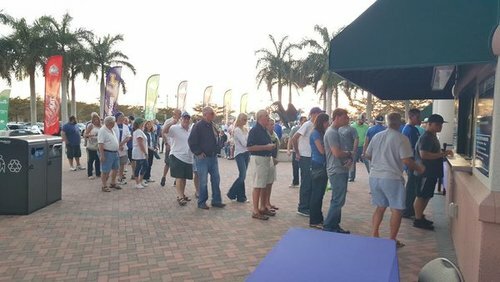 FGCU was up 10-0 but Hatters haven't given up. Norelia 6 pts for Eagles. 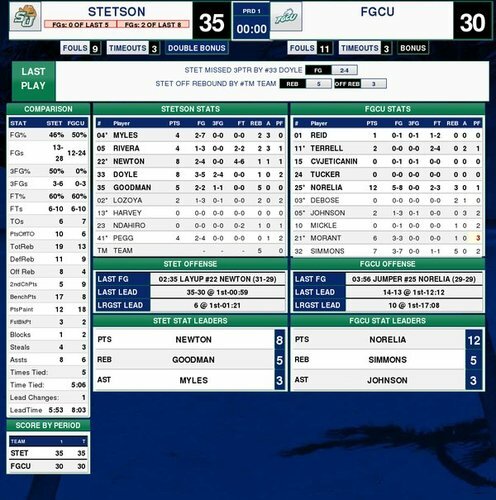 Stetson on an 11-2 run, down just a point now after FGCU ran out to a 10-0 lead.
.@dreamchasertrey and @bouncymeech both with 2 fouls at the 9-minute mark. But Meech checks back in with the game tied at 21. Now @ZachJohns5n picks up his 2nd foul and sits. Johnson, Simmons with 2 fouls each; Meech with 3. 26-23 Stetson. Christian Terrel gets 2 FT. Chance to give FGCU 1st lead since 11:02 in 1st half. 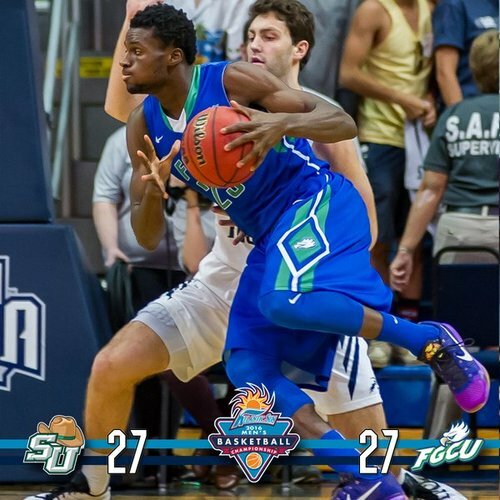 FGCU senior Julian DeBose rolled an ankle. He's down on the baseline, now limping to trainer's table. HALF | @StetsonMBB 35, @FGCU_MBB 30 in A-Sun championship. At halftime of @ASunMBB Final, @CoachWilliams12 has @StetsonMBB ahead of @FGCU_MBB . 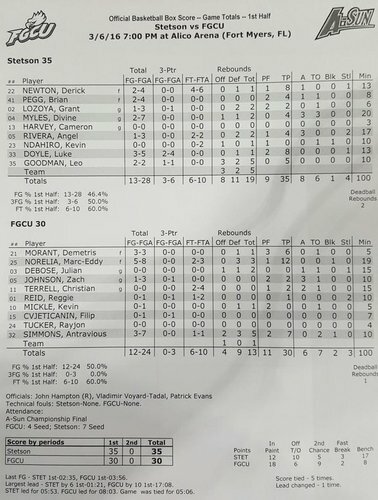 Per @JaBain , FGCU starting G DeBose rolled his left ankle and is doubtful for 2nd half.